Over our many years of visiting the island we have made some great friendships which will last a lifetime. 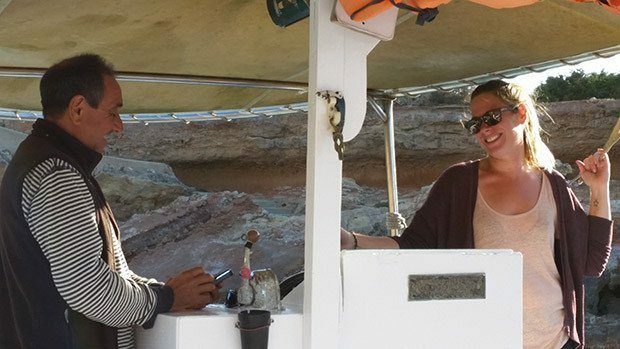 One of the islanders we have become very close to is Sofia who alongside her father (Vincente) run Chilli Pepper Charters boat trips from San Antonio. As the 2017 season came to a close, and over a stunning sunset we sat down to talk to Sofia about her life on Ibiza. 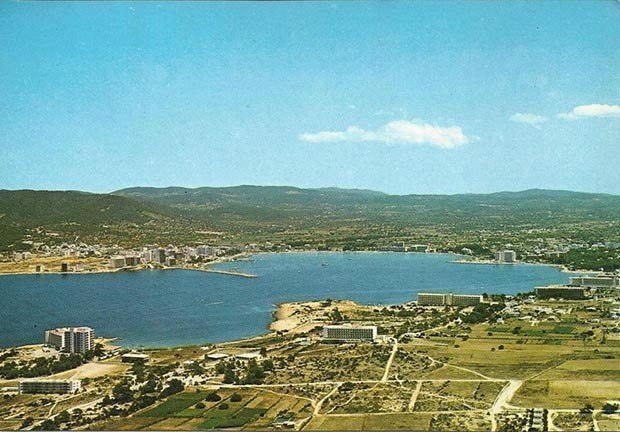 You were born and raised on the island, what are your earliest memories of Ibiza? Always the summer. The blue skies, playing with the neighbours and cousins in the street and wars of water… it was super safe for the kids to play in front of the house and there were not so many cars like there are now. I also remember October time, after the summer season had ended. We always had lots of BBQ’s in the forests with family and friends. I also remember my father teaching me about the mushrooms of the forest. Which are good and safe to eat and which are bad. How have you seen Ibiza change as an island whilst growing up? Ibiza has changed so much in the last 30 years. I have only seen a few changes around the coast of San Antonio and the bay (Pinet) but my father remembers it being just a few houses, long before the hotels and apartments were built. Some of the coast around the beaches of Cala Tarida, Cala Vadella, and where I live, they have built on lands around the villages now but I remember where there was just one house built on a plot with lovely gardens and now they have built 20 apartments or more in the same space. Imagine 20 plots of land each with one house, lovely gardens and a place for children to play and now those same 20 plots have 400 apartments and no garden. It has changed a lot. You help your father (Vincente) run Chilli Peppers Charters boat trips, can you describe your average summer day, preparing, on-board and after the trips? 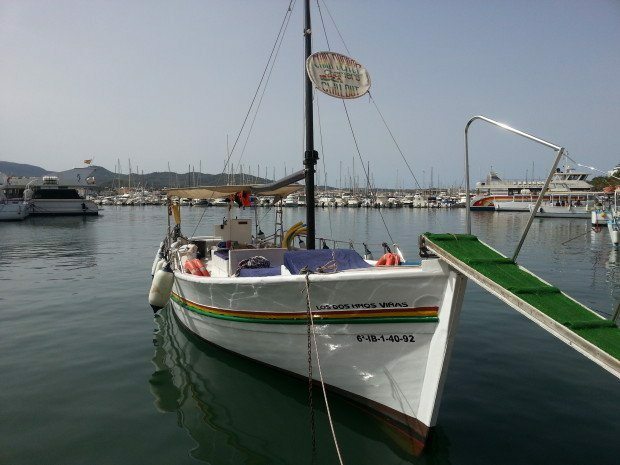 My role is to clean the whole boat, dry it, clean the cushions, the cups, prepare the fridge (the most important thing I think) put in all the beer, rose wine and soft drinks and then pick the ice up from the Fisherman´s Association and put it all into the fridge. When we go out with the boat, I start by introducing myself and the captain (my dad) to the guests and explain the rules when on board. I then serve the drinks to the guests and let them relax. I explain about the island and how beautiful it is and answer all their questions about our lovely home. I help and show our customers how to use a snorkel and mask (some have never tried it) and explain where to swim so they see the beautiful life under the waves. An important part on board is to take lots of pictures of our guests, so they have memories of their trip with us. This I do twice a day, 7 days a week in the summer season. When the trips are over, I then put all the stuff away on the boat, take the rubbish to the bin and close the wood cabin on the shore. Only then can I ride my mountain bike straight home!! 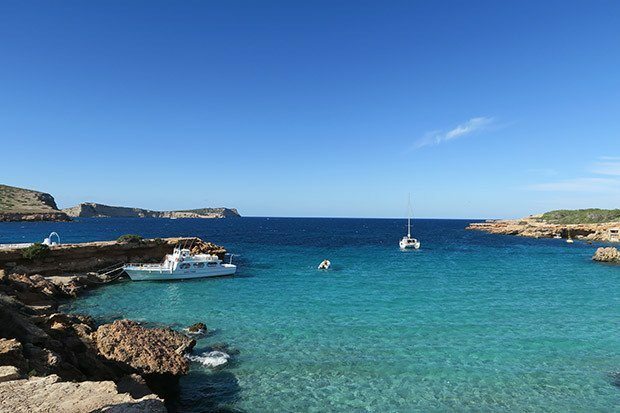 Getting to sail out into the beautiful waters around Ibiza on a daily basis is most people’s idea of heaven, but how hard is it to do it every day for 5 months of the year? Yes I know it looks very hard to work 6 months (sometimes only 5 it depends on the weather and visitor numbers), but the local people we are used to it. My father has always worked the summer season this way. I started to work when I was 15 years old, when I had the opportunity I did it, because we are workers, and we never had any luxuries for me was great to earn a little money. Year by year you get used to it. This year your boat was used for an interview for the band Years and Years by MTV what other special trips have you done on-board? Yes, they did a recording and interview on board, it was crazy and fun. For me the special trips are the days when we see the dolphins, or a moon fish, when the people are enjoying the trip and after that they say it was the best day of their holiday. This mean so much to my father and I. What problems do you personally face being an islander with only a summer based job to support you? You have to be very careful and save all you can (that´s the important thing, save money) and then you have a little help from the Government for the other 6 months. You can look for a work in the winter but there are very few jobs – it depends on what you want to do. What are your own worries for the island as a whole in the coming years as more and more tourists come to Ibiza? I am not worried about that, we will see what happens. Ibiza has survived for thousands of years. I only hope when they come that they respect and love the island like I do. Would you like to see slightly less visitors in the summer and more winter visitors? For us November until April is a gift, we enjoy our lovely island. No. I wish we had the same people May till October (like July and August) and then everyone can enjoy our lovely island. With the shake up of those in charge in the elections earlier in the year with yourself supporting Reinicia in San Antonio, do you feel it is time the next generation of Ibiencos start to influence who and how the island is run not only for the good of the local residents but for those tourists visiting ? You have been very vocal over current problems the island has. What are your top 3 concerns at the moment? In summer, there are lots of robberies in houses, many drugs on the street, lots of lucky lucky me and black women trying to take money from the people. This year its been better with police around, but we need more, to renew San Antonio. Step by step it is getting better. With the winter months approaching do you now get time to relax and take it easy or is there still work to do ahead of the 2016 summer season? Of course I do get time to relax, but I need to do keep busy – study, go for a holiday and enjoy the island. With the boat we have at least one month of work to do maybe a little bit more before next summer. Being a true local we have to ask what are your own personal 3 favourite restaurants on the island? Port Balanzat (Port of San Miguel) for the typical plate bullit de peix (fish stew) and arròs a banda (rice cooked in a fish stock with alioli). Can Graó (San Antonio bay) steak with fried potatoes and salad. Can Pilot (San Rafael) beef steak grilled. When you do get to relax away from work where are your favourite places to go to on the island? My favourite place on the island is Cala Compte. It is where I like to walk with my dogs and enjoy the views. But a walk in winter in San Antonio is also lovely its so quiet and different from the summer months but still as beautiful. 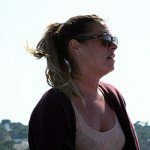 A huge thanks to Sofia for taking time to sit and talk us about her life in Ibiza and we cannot wait to be back on board next year for many more relaxed trips along the coast of Ibiza. 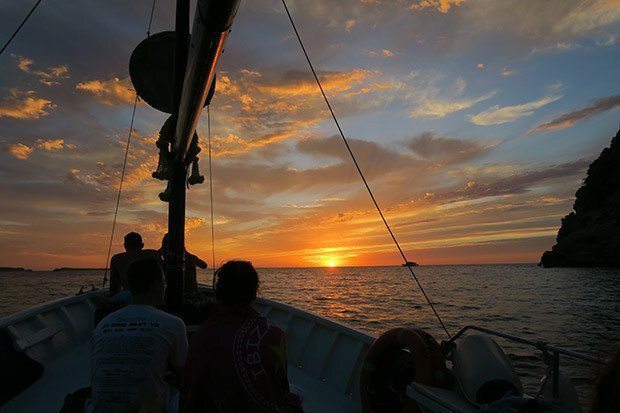 Chilli Pepper Charters runs from San Antonio waterfront and is suitable for all ages, families, groups and is one of the most relaxing ways to experience the coastline, marine life and sunsets of Ibiza. You can read our full review here and for more information visit their website chillipeppercharters.com or follow them on Facebook here. After going to Ibiza for the first time this year as a 44 year old, I really like the island and its people. I was fortunate to have a day trip on the Chilli Peppers Charter boat on my last day. I got to fulfill I life long dream of diving off a boat into beautiful water, relaxing and enjoying the boat trip. It was the highlight of my holiday there.